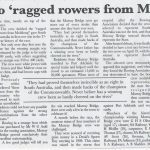 The Murray Bridge Rowing Club was founded in 1909 and is one of South Australia's oldest and most successful rowing clubs. The Murray Bridge Rowing Club is open to both Master and Junior rowers. Our rowers learn the value of teamwork whilst having fun and working together towards a common goal. Rowers learn self-discipline and motivation as well as commitment and fair play. Rowing is a time honoured sport that respects the water and its surroundings. Rowing is excellent for fitness and wellbeing. 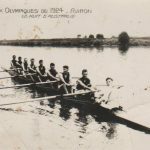 The 2015 documentary, 'Paris or the Bush: the Story of the Cods' is a rich and uniquely Australian story about the 1924 champion rowing team who were legends everywhere, from the bush to Paris. 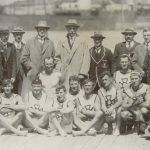 Directed by Wayne Groom and written by Wayne Groom & Carolyn Bilsborow, 'The Cods' was the name adopted by the Murray Bridge Rowing Club for its Men's Eight Oared Rowing team around the time of the club's inception in 1909. Their story is an extraordinary story of courage, humility, skill, ageism, class prejudice, war, sport and mateship. It is a uniquely South Australian story but has national and international relevance. The documentary covers a fascinating period of Australian and world history, encompassing a Great War and spectacular sporting achievements. It is a story about 'ordinary men' in a small country town - working class men who sweated to earn a living - who not only defeated the cream of Australia's upper class society in a sport they had dominated from the 1870's, but in the process foreshadowed a major change in the nature of Australian society. 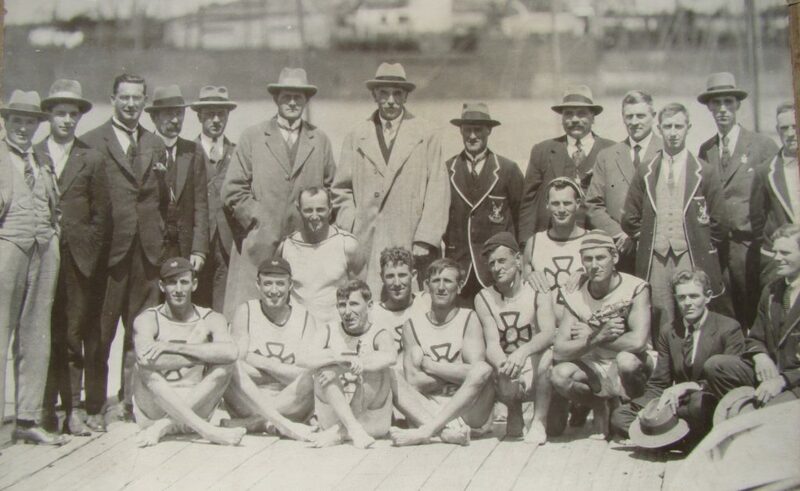 The Cod's first won the King's Cup in 1913, an astonishing achievement as South Australia had never before won the annual rowing championship in its 40 year history. It was something akin to Australia winning the America's Cup in 1983. This was an era when the sport of rowing was incredibly popular, like football is today, when crowds of 20,000 or more lined the banks of the nation's capital city rivers to cheer their heroes. This famous 1913 Cods victory was unique because the King's Cup was wrested from other States not by the usual 'composite' State crew, comprised of the 'best rowers' from Adelaide's elite clubs, but by a tiny poor one-club crew from Murray Bridge. After the 1913 success, the young Cods crew seemed destined for greatness. But in 1914, the Great War intervened, redirecting their lives onto the battlefields of Europe. Five years later, when the Murray Bridge rowers returned home, battered and injured, the obstacles they faced to continue competing were tremendous. They were older and in some cases injured. The barriers of class were still rigidly in place. 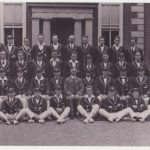 But under the guidance of Teddy Higgs, himself a former champion Tasmanian rower and Boer War veteran, the Cods challenged for the national title again. Remaining a defiantly single 'club crew' rather than a State based crew, they went on to win the Kings Cup 3 times in the next four years, dominating the sport against all comers, eventually earning the right, despite a last minute act of treachery by 'officials' which almost derailed them, to represent Australia at the Olympics in Paris in 1924. James McRae (born 27 June 1987) is an Australian world champion and Olympic medal winning rower. McRae grew up in Murray Bridge, South Australia where he rowed for the Murray Bridge Rowing Club. 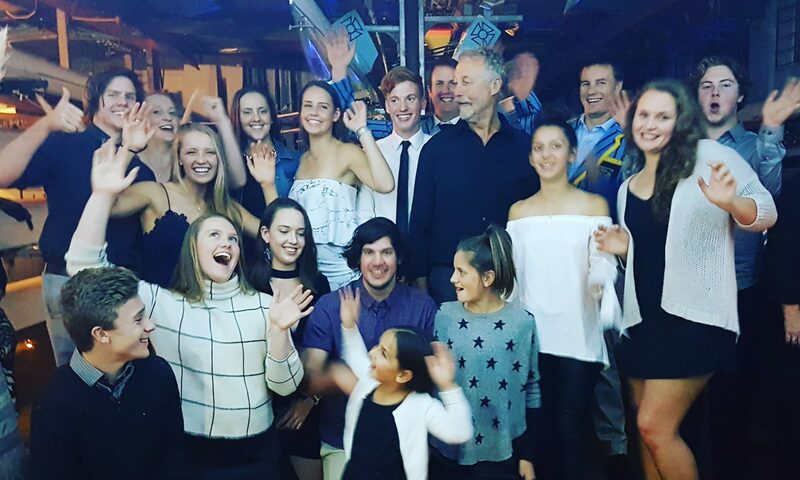 McRae is a South Australian Sports Institute (SASI) Scholarship holder and was coached by Adrian David, now former SASI Head Rowing Coach and ex Romanian International Oarsman. McRae competed at the 2008 Beijing Olympic Games in the men's quad scull. McRae began his international career by competing with Matt Bolt in the double scull at the 2005 Junior World Rowing Championships. McRae's siblings Jessica and Anna are Australian rowers who have held various SASI scholarships and Australian titles. Anna McRae has also competed internationally for Australia. 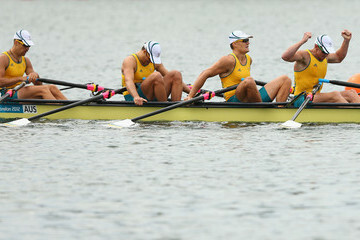 In McRae's first competition at the Beijing Olympics, the Australian quad scull broke the world record to win their heat. McRae competed with Daniel Noonan, Brendan Long and Chris Morgan. McRae and his crew subsequently finished second in the semi-final thus securing a place in the Olympic finals. 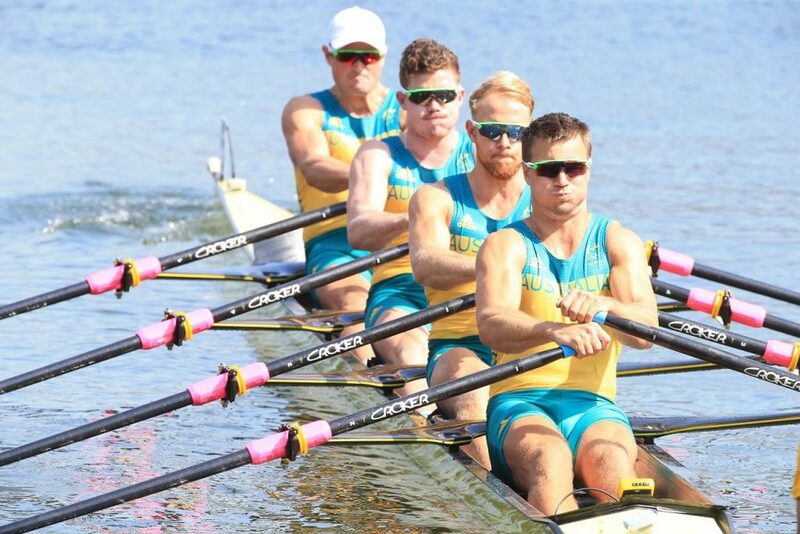 At the finals of the men's quad sculls the Australian crew including McRae was unable to capitalise on their earlier world record form and finished 4th. 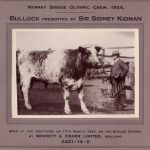 In October 2009, McRae was awarded life membership of the Murray Bridge Rowing Club for being the club's most successful rower and the club's Olympian since the Murray Cods in 1924. He undertook a number of public speaking and promotional events after the Beijing games. In April 2010 McRae took part in an 'Active April' event involving Australian Broadcasting Corporation radio personalities Tony McCarthy and John Kenneally. McRae continued rowing at the highest level winning a bronze in the men's quad scull at the 2010 World Rowing Championships. In 2011 he won the interstate men's single scull (the President's Cup) and open men's quad scull at the Australian Rowing Championships. At the 2011 World Rowing Championships in an upset, McRae rowing in the Australian heavyweight men's quad defeated the German crew to win gold. Due to a costly mistake in the German boat the Australian crew took the lead in the last few metres of the race. At the 2012 London Olympics, McRae won bronze in the men's quad in a time of 5:45.22. Training for junior rowers is from 4:30pm - 6:30pm Tuesdays and Thursdays. During these trainings the rowers do a number of things including stationary rowing on ergo machines, on the water training in row boats, gym work, cardio and weight and circuits training. All trainings are supervised by the Coach and Captain. Rowers are encouraged to bring a change of sports clothes, a water bottle, sunscreen and any medication they may need (asthma puffers, muscle treatments, straps and knee braces, etc.) The boatshed offers a fully working kitchen with fridges for the rowers to store water bottles and any food they bring. Rowers are able to make hot and cold drinks, prepare food and purchase water and other drinks from the club. The rowing club contains male and female toilets and change rooms, with hot showers and secure facilities for rowers to put their belongings while they're training. Murray Bridge has long been the home of a strong masters rowing program. A rower is considered a masters rower above the age of 27. It is not uncommon for people to row into their 70's or 80's. Maintaining physical strength and social interactions has been directly associated with positive ageing and wellbeing into our middle and senior years. Rowing is a great activity for a wide range of ages. Masters rowers train from 4:30pm - 6:30pm Wednesdays and Fridays. These trainings are usually self-run by the masters rowers. All rowers have access to the same activities and facilities during their trainings. The masters rowers compete regularly at regattas, however it is a personal choice as to when and where rowers compete. Junior rowers are also able to train on these days if the chose to do so. However, the coach is not obliged to coach the junior rowers on these days. On Sundays all rowers are able to train from 7:00am. Master rowers usually begin at 7:00am and Junior rowers at 9:00am. Departing/finishing times are not set at a certain time but many rowers will leave around 11:00am. Please remember to read the Notice Board in the Clubrooms to ensure that you don't miss important messages. Please remember to pay all memberships on time.